Our clients obtain an average FICO Score increase of between 50 to 150 points. However, individual results may vary. If, after review of your credit reports we believe that we will not be able to rise your FICO score at least to the high 600's, we will not take your case. However you will pay only for good results, no results no charge. BCR Consulting does not provide Debt Management/Consolidation or Debt Settlement services. However, services can be provided by our preferred partner, Empowerpro Financial. If you are a victim of ID theft, we can immediately stop the collection calls and help you to have all those fraudulent accounts removed from your credit reports in less than 45 days. You will only need to file a police report and send us a copy. We will take care of the rest. Also, as protection, we can include in your credit reports a note with your name and phone number asking all creditors to give you a call and/or take any necessary steps to confirm your identity before extending new credit in your name. This note has the effect of significantly reducing the amount of junk mail you receive. This is the strongest ID Theft protection available. 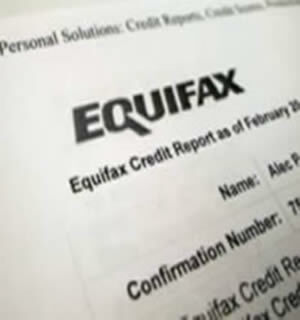 When you lock your reports, we will provide you with a PIN number for every Credit Reporting Agency. These PIN numbers will give you the ability to lock and unlock your credit reports at any time. When you (or an identity thief) attempt to open a new credit card account, the financial institution taking the application has to check your credit report. If you have a credit lock on your credit report, the institution will not be able to see your report at all unless you gave them your PIN number or you had the report unlocked before applying for credit. If they cannot see your report, they are unable to open a new account in your name. This makes ID Theft nearly impossible.